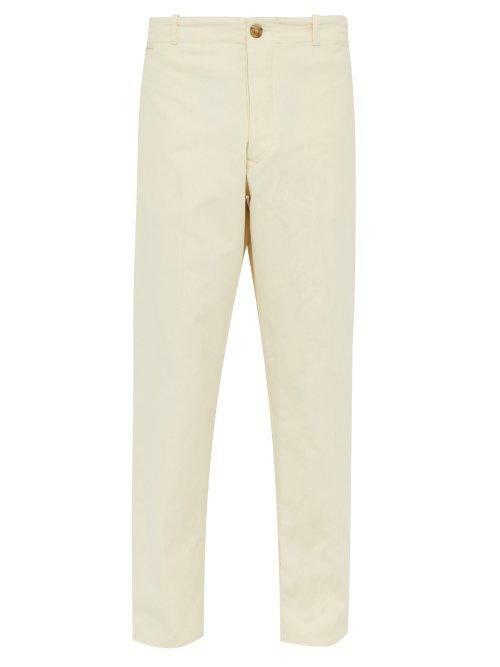 Holiday Boileau - Holiday Boileau's interpretation of classic chino trousers is reimagined in cream cotton for a refined take. They're shaped to a relaxed fit with straight legs and are complete with belt loops and pockets. Fit true to size.